How To Use These Binders ? 2. Select " File 1" as as the file you want to bind ( keylogger or RAT ) to hide / avoid antivirus detection. 4. 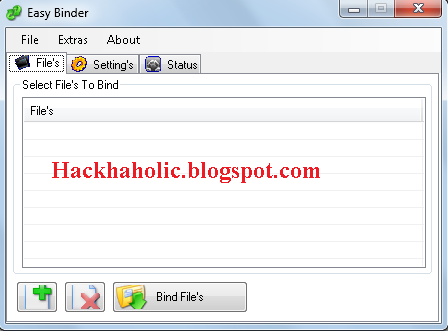 Finally select "Bind" to obtain the binded keylogger or Trojan file. Now, simply send this file to victim whom this file will appear normal (keylogger or Trojan is hidden due to binding). can v use these binders on windows xp as it have .netframework 2 or less... .. ??? Hello jhon. I cant bind my keylogger with a normol file cause i cant find any. i cant find any image or song to bind it with it cause my laptop says ''there is no image with this nam'' but there is... How do i fix this? do it only bind with exe file? by using binder is it possible to bind a file with extension jpg which is actually an exe file? ?...please reply.. The binders are no longer available from the links above. The links all go to pages that say: "Sorry! Ziddu is not offering any file sharing services !!" all downloaded soft-wares not properly working!!! The application failed to initialize properly (0xc0000135). Click OK to terminate the application. this msg appear during running the program every time..
Can i encrypt the software using a cryper and bind the crypted file using a binder ??? What's the best and recommended remotely deployable monitoring software, crypter and binder software as of today? It can't fail and must get past Avira A/V. 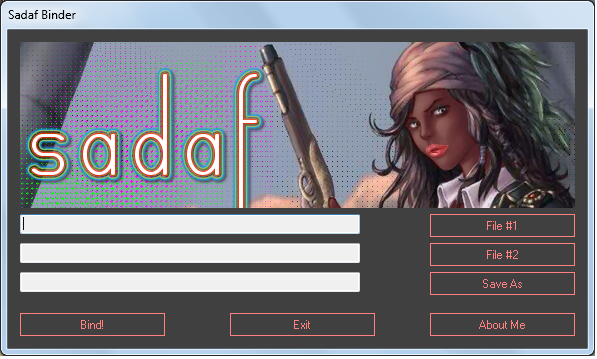 I've binded my keylogger by using "Advanced BAT to EXE Converter v2.83". I have AVG and when I scan it, it doesn't detect any viruses. But when I open the binded keylogger, once I click twice on the icon, my AVG pops up. Hello, John. 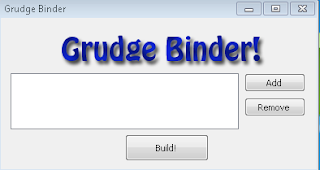 Which one of those binder tools above that you think it's the best and undetectable as virus? Hello John, which one do you think is best?